The best known of the many caves in the small Bermuda islands is the gorgeous Crystal Cave – a major tourist attraction for more than a century. 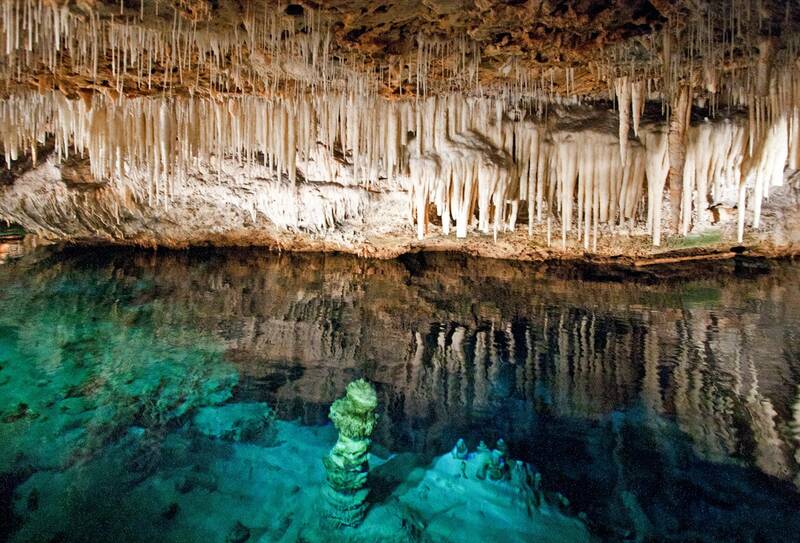 Crystal cave in Bermuda was discovered by two twelve – thirteen years old boys – Carl Gibbons and Edgar Hollis in 1905. They were playing cricket, and then a ball disappeared some feet from one of boys. Boys badly wanted to get back their valuable ball, and one of them squeezed into the hole. It was surprisingly deep and turned out to be a large cave. Owners of this property since 1884 were Wilkinson family. As soon as they learned about the discovery, they decided to explore the cave. The 14 years old Bernard Wilkinson was lowered in the hole in a strong rope. Boy descended 43 m, lighting the wast cave room with bicycle lamp. With awe he looked at the incredibly beautiful cave with countless crystals. Wilkinsons decided to turn this wonder of nature into tourist attraction. They built a pontoon bridge across the crystal clear waters of subterranean pool. Cave was opened to the public on January 8, 1908 and one of the first visitors was Mark Twain. Later the cave got new, cosier entrance, lighting below the water and other extras. Now it is visited by more than 80 000 tourists every year. Crystal Cave, just like other caves in Bermuda, formed, when sea level was considerably lower than now. 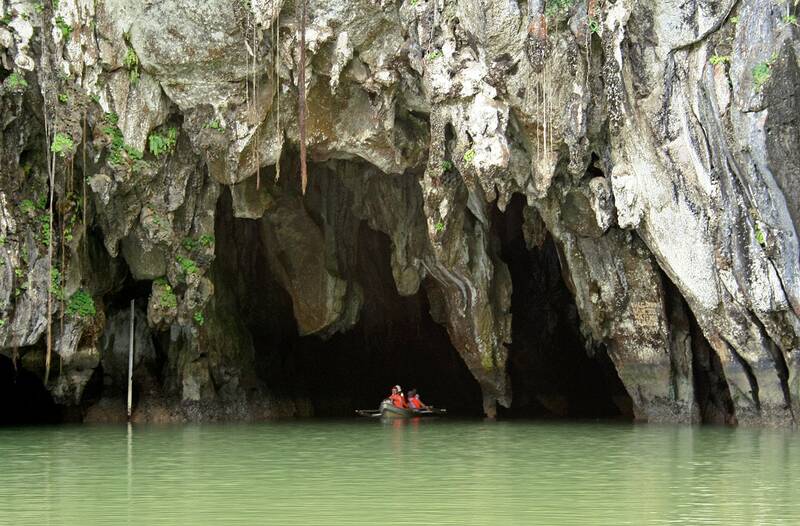 When the Ice age ended and glaciers melted, sea level rose and inundated the beautiful cave formations. Nowadays tourists see just a little part of Crystal Cave, which is above the water – and are very impressed by the countless stalactites, stalagmites, chandelier clusters and soda straws. The part which continues below the water is even more impressive. Water here is incredibly clear and, although it is up to 20 m deep, it looks like it is just knee deep. 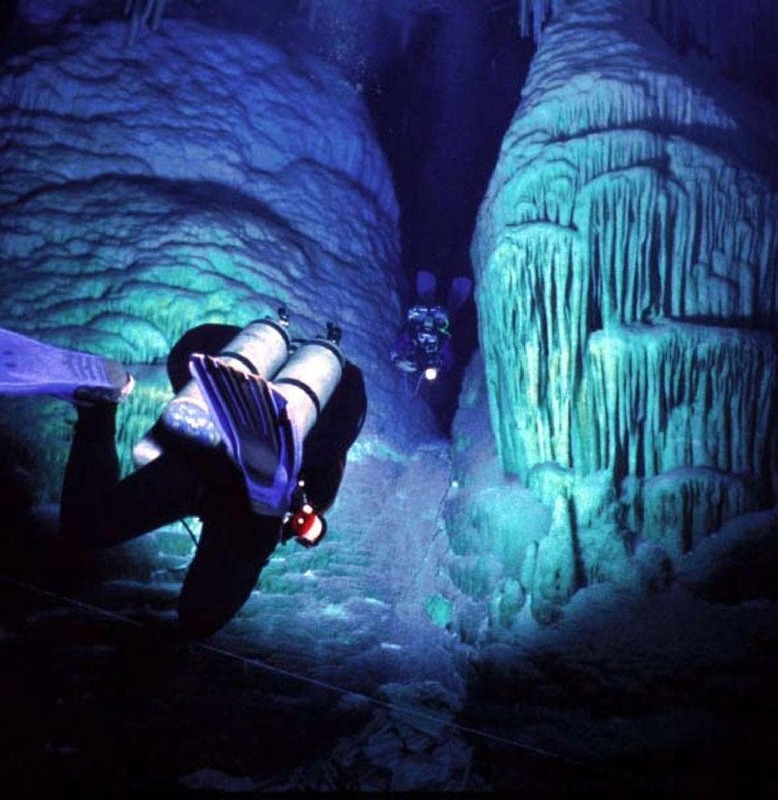 In Bermuda are known more than 150 caves. These wonderful caves have been very valuable to the science – here have been found more than 75 species of cave organisms which are not found anywhere else in the world. These small creatures mostly live in the water. Many caves in Bermuda are anchialine, e.g. there is ongoing water exchange with the Atlantic ocean. Crystal Cave is one of such valuable anchialine caves – here live such endemic crustaceans as copepod Mictocaris halope and ostracod Spelaeoecia bermudensis, as well as others. 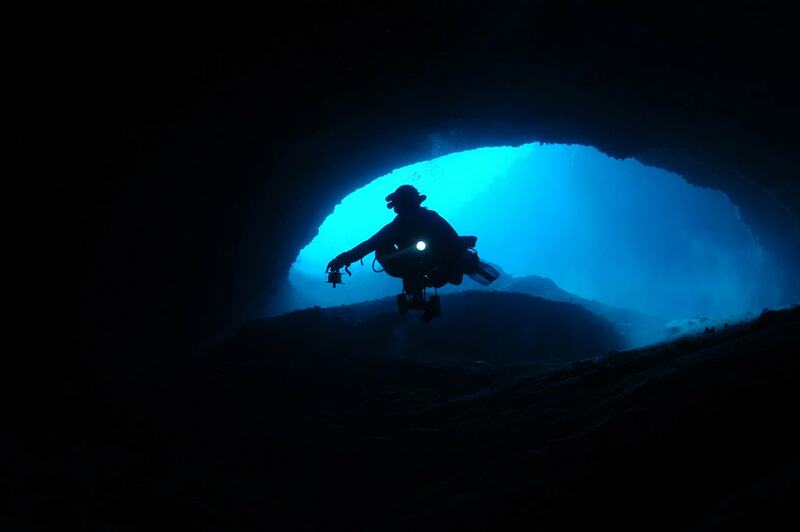 Caves in Bermuda contain also some of the most complete sediment sequences of the last Ice Age period. One interesting find in Crystal Cave was done soon after the discovery: in 1908 embedded in a stalactite were discovered feathers and bones of Bermuda Petrel (Pterodroma cahow). It was believed that this bird is extinct since some centuries – but in 1951 there were found 18 nesting pairs of this unique bird. It is interesting to note also, that the water in this cave and elsewhere in Bermuda contains much fluoride. Long term consumption of this water causes a disease called fluorosis. Nowadays the potable water is treated in Bermuda to avoid such problems. The Crystal Caves of Bermuda, history by The Crystal & Fantasy Caves. Accessed on May 15, 2012. The small islands of Bermuda are rich with natural and man made attractions. Highlights of Bermuda are its beautiful caves and historical houses with specific local architecture. Written by locals, Fodor’s travel guides have been offering expert advice for all tastes and budgets for over 80 years. Bermuda is famous for pink-sand beaches, impossibly blue water, and Kelly-green golf courses, but that’s only the beginning. Whatever your reasons may be for wanting to pick up a copy of Bermuda Travel Guide: Everything You Need to Know When Traveling to Bermuda, reading this guide will give you the sense that you’ve started your trip early! Bermuda is as interesting as it is mysterious, so don’t leave home without being prepared.